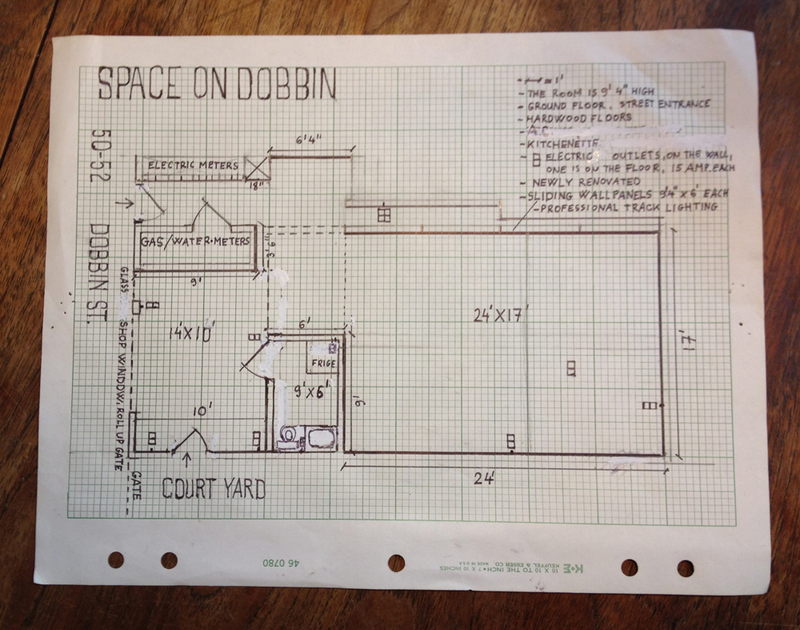 Join Dobbin Project Space this Summer! 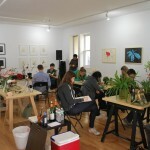 Please spread our call for summer residents to your creative friends & colleagues! Do you have an art practice, entrepreneurial idea, or community project that you’re ready to take to the next level this summer? 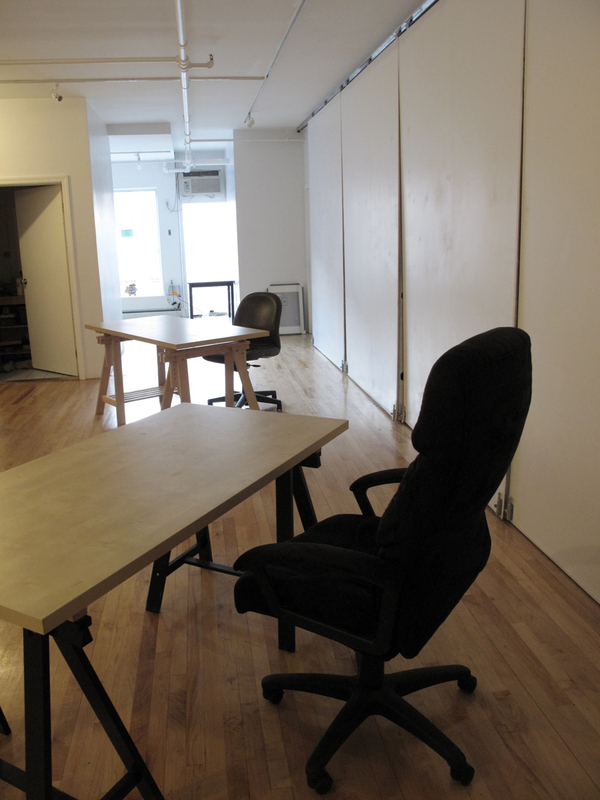 We have a charming creative co-working/studio & event space on the border of Williamsburg & Greenpoint, Brooklyn. 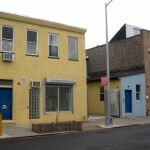 Dobbin Project Space offers a unique opportunity to share work and event space with an intimate, creative community. 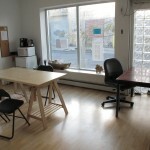 We are three local artists who share our gorgeous storefront gallery space with creative residents who desire a supportive and inspiring shared work space. What makes our space unique is that can transform into an incredible event space on weekends so you can take your project to the next level. Imagine: you can develop your next artwork in the same space you host your show; you can edit your movie and hold rough cut screenings; you can use the same place for writing and public readings; you can design your branding and launch your project in the same space; you can finally host that workshop you’ve been wanting to teach; the possibilities are endless! We started Dobbin Project Space to provide an affordable resource to artists, creative individuals and small community groups who want a place to nurture and share their work. 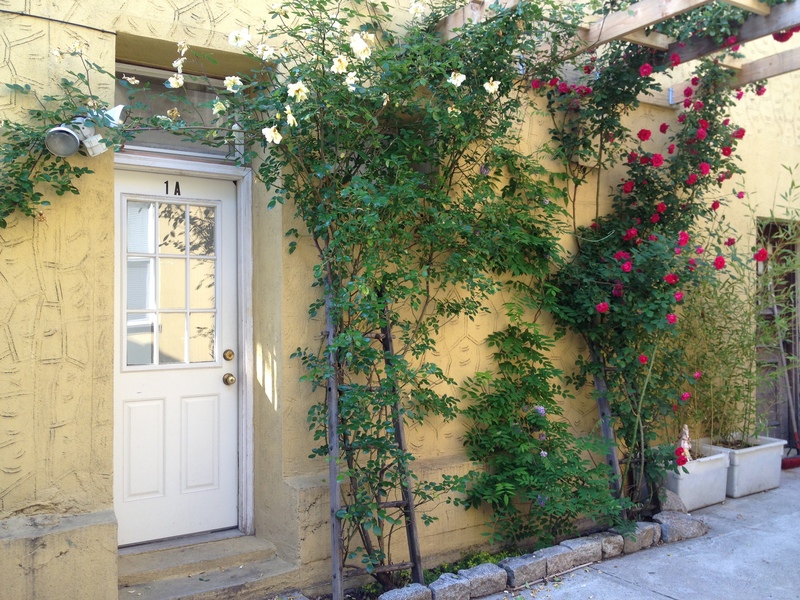 We are located in a small, lovely art and design complex with a garden courtyard, steps from the Nassau G, a short walk from the Bedford L and a stone’s throw from McCarren Park and many other amenities including coffee shops, delis, restaurants and buses. 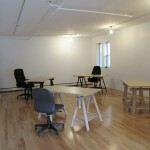 Our space is generally quiet yet affords plenty of room for meetings with collaborators or sharing lunch. We encourage events on weekends so any event is welcome. Whenever there isn’t a scheduled event, residents are welcome to work over the weekend. 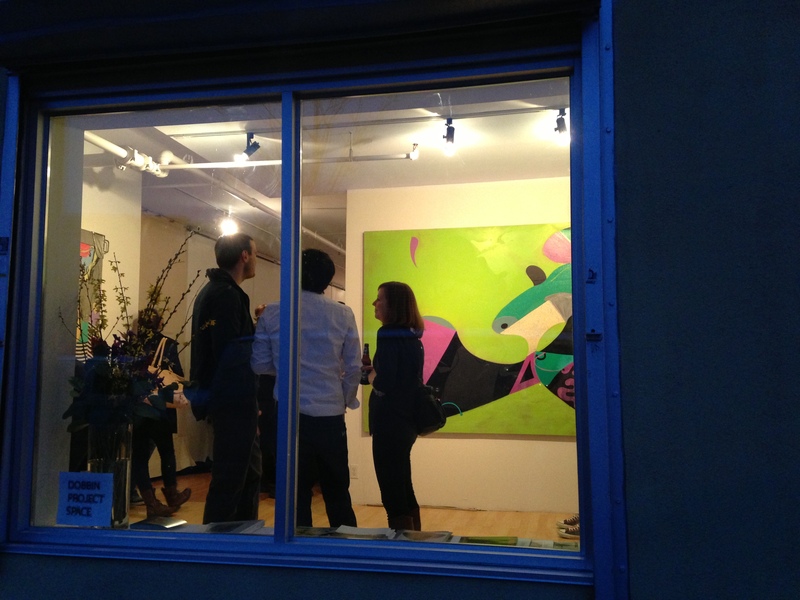 The physical space is a storefront gallery with large white walls, ample light and wood floors. Walls slide to cover storage areas, leaving the beautiful, open work and event space. 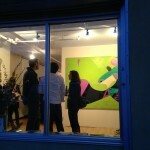 The gallery has two connected spaces: one room with street access and a large picture window and another large back gallery with windows facing a courtyard garden. There is on-site storage for all residents, multiple power outlets, track lighting, a private bathroom, microwave, fridge, secure bike parking and modular work desks. There is great climate control (heat and AC). Note: we can accommodate occasional messy work and fabrication, but this space is not ideal for someone who uses oil paint, resin or other toxic/messy materials regularly. SUMMER SPECIAL. We currently have space for two summer residents at a special rate. $360/month per resident including storage and utilities for one, two or three month periods (start date is flexible, and may extend to September). We will have long term options available beginning Sept. 1. 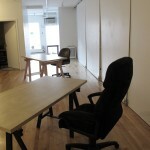 Please introduce yourself and your work or project via email and we will set up a time to meet and show you the space! 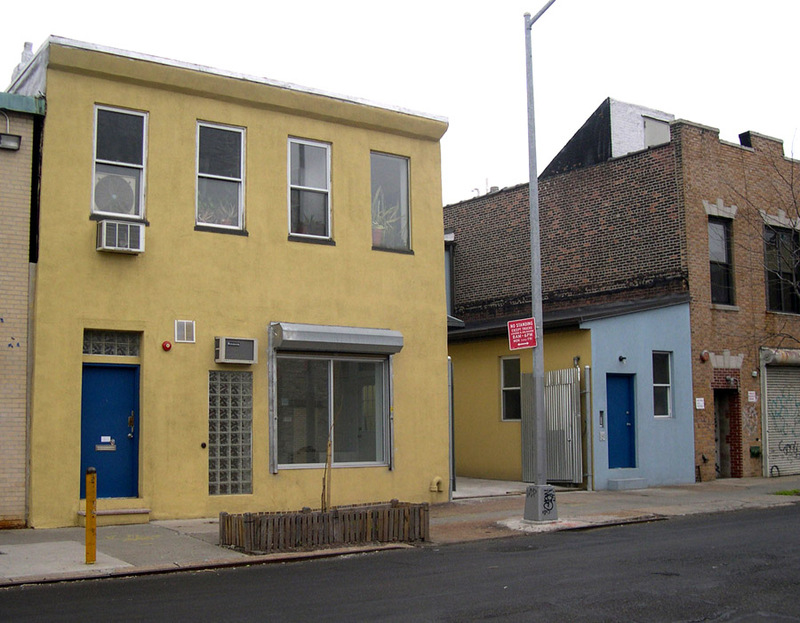 Dobbin Project Space is a storefront work and event space for community-focused creative individuals and projects on the border of Williamsburg & Greenpoint. 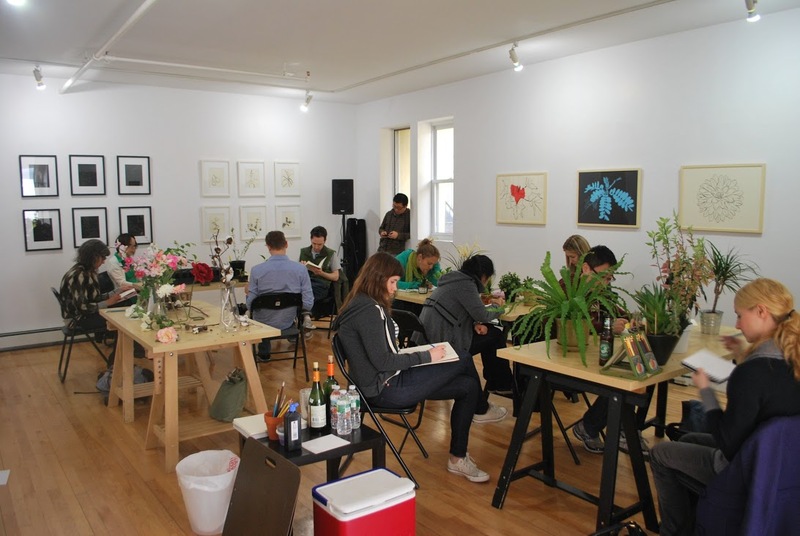 The space was founded in September of 2012 by three socially engaged artists with interdisciplinary practices: Laura Chipley, Mary Jeys and Sarah Nelson Wright. Our projects include The Brooklyn Torch and The Newtown Creek Armada. 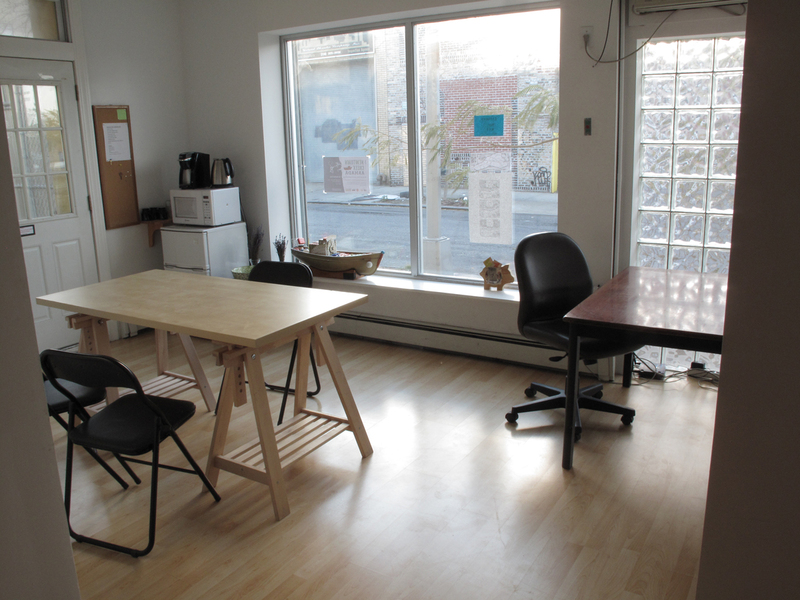 We share our space with creative residents, including artists, curators, writers, entrepreneurs and freelancers. 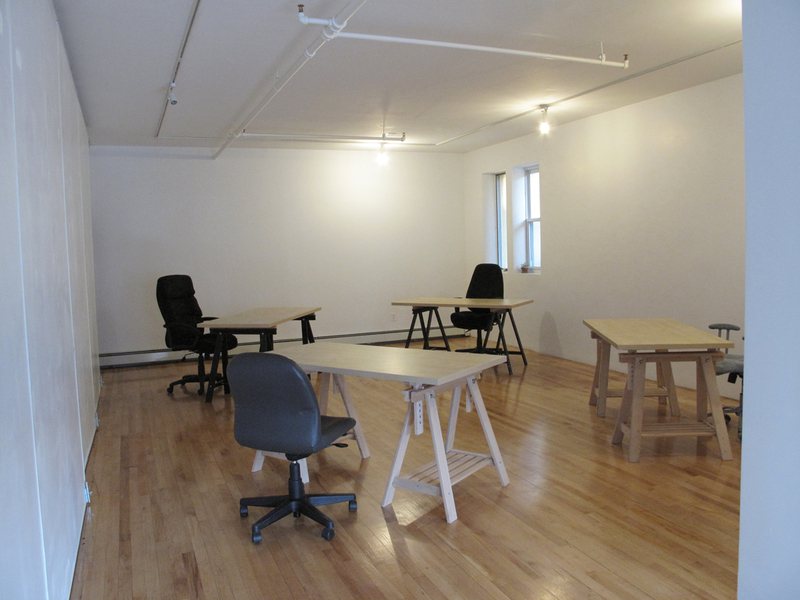 Residents use our space as co-working/studio space during the week and may host public events on weekends.